Nestled in the heart of Amish Country, our cabins feel like they are deep in the woods, yet we are only minutes from restaurants, golf courses, coffee bars, wineries, shopping, and much more. 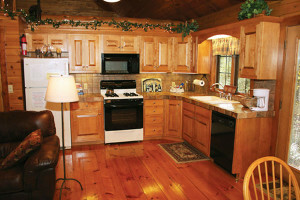 Built from Michigan white cedar logs, the cabins combine a rustic setting with the luxury our guests enjoy for a romantic and relaxing getaway. 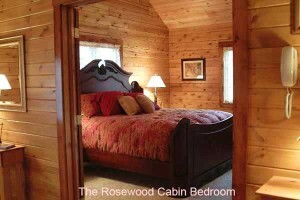 With a gas-log fireplace, an over-sized king bed, fine linens and a Jacuzzi for two, each cabin is the perfect setting to reconnect with the one you love!